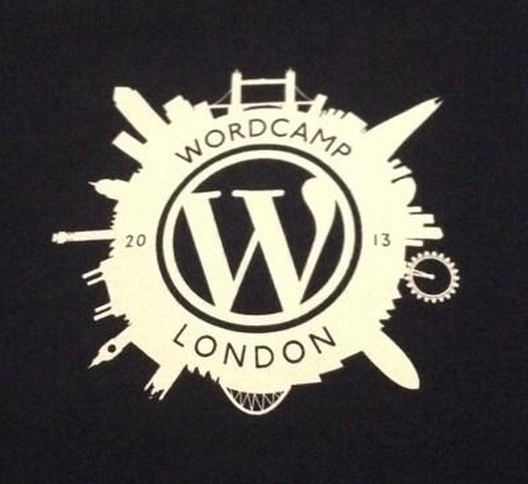 I recently attended the first ever WordCamp in London. It was also my first WordCamp. It has to be the best conference I have been to in ages. Not only is it very affordable, but I met some awesome people and learnt loads! I've never been to a conference where everyone has one thing in common (other than web design/development) so no matter who you talk to, whether it's in the lunch queue or at the afterparty, you can always strike up a conversation. Everyone was very friendly, one guy even found me from a Tweet I'd sent and came to say hello. (I always struggle to make friends at conferences, so this was rather nice). It was a 2 track conference, with one track being more dev oriented, so I stuck to that mainly. Mike Little was speaking too. It was amazing to hear one of the WordPress founders talking about how it all started 10 years ago. I was most impressed at what we got for the price. Lunch, coffee/tea/cake (oh what delicious cake! ), conference t-shirt, afterparty with a couple of free drinks plus food. 18 speakers and a fantastic venue - all for £25. Bargain! If you've never been to a WordCamp then I thoroughly recommend going to one. They take place all over the world.